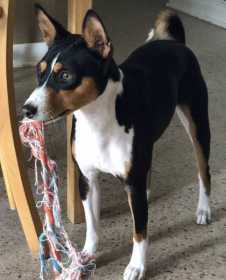 Wade is a Basenji. Tri color. Predominantly black, white chest and feet, beige markings on face. Ears up. Long nose. Small Scar on right side of face.